markField Design is an award winning graphic design studio that can help you develop a full range of highly creative marketing communications tailored to maximize customer response. Are you maximizing your reach across the wide array of marketing channels through which your customers can experience your brand? 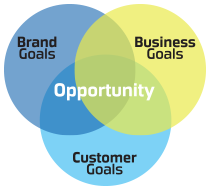 The most successful brands will utilize a combination of channels that will create marketplace impact and brand value. markField Design can assist you in developing consistent marketing communications across the many channels now available to your customers. Just a few of these include, desktop, mobile, email, print collateral, signage, and placed advertising. Through content marketing, engaging web design, and social media channels, let us help you position your brand to maximize new business leads. With a new digital strategy incorporating video, engaging user experience, and consultative search strategies, your business will be found before your competition, turning prospects into business. We’ll build high quality links to your website, write effective content and title tags, and much more. The SEO tactics we use are vital in today’s competitive online market. Your website is the foundation for your marketing efforts. Optimize your investment in your web initiatives and engage us to optimize your growth strategy. 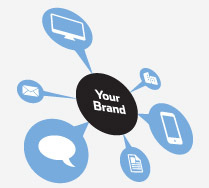 Give us a call and let us help you differentiate your digital brand. markField Design believes in listening. As in integral first step to every project, we feel it is important to sit down face-to-face in order for all client stakeholders to express their vision in their own words. markField Design will use this vital information to begin to craft your message and in turn, the overall visual feel for the project. At markField Design, we do not have a specific visual house style. The look and feel of every project is informed by the client, the subject matter, and the marketplace. We believe that every project is a partnership and we bring our expertise in visually communicating your needs, and the needs of your customers, on-time, and on-budget.